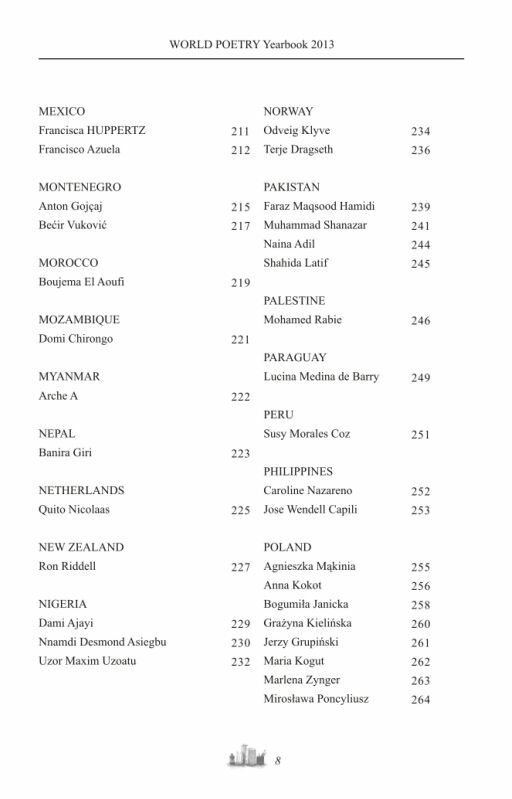 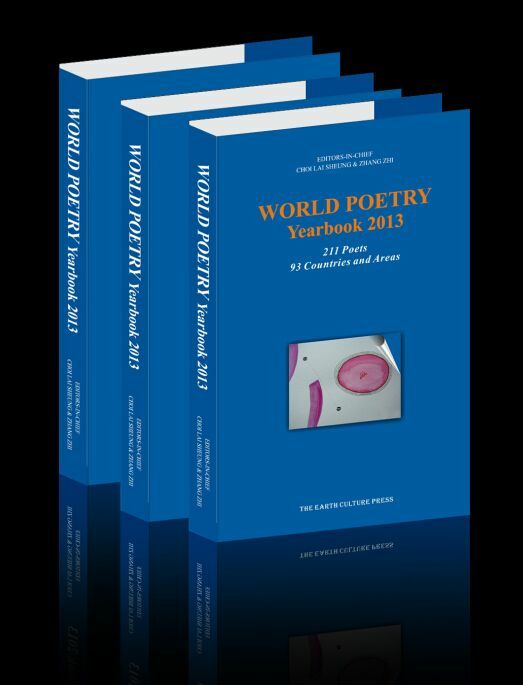 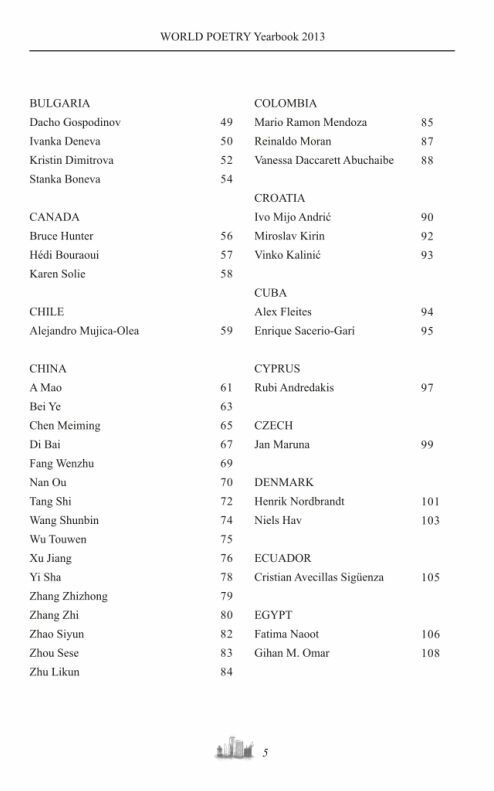 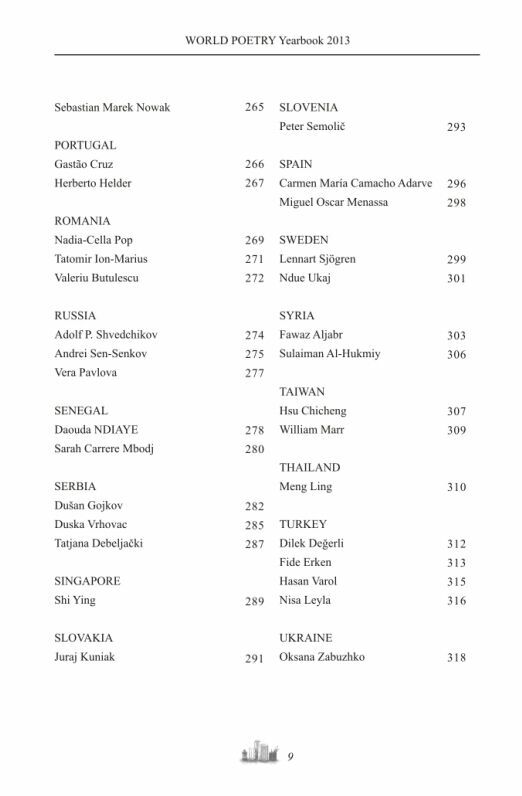 "WORLD POETRY YEARBOOK 2013", plotted by The International Poetry Translation and Research Centre (IPTRC), co-edited by Dr. CHOI LAI SHEUNG, a famous poetess in Hong Kong and Dr. ZHANG ZHI, President of IPTRC, and jointly translated and revised by Prof. ZHANG ZHIZHONG and Ms. Sophy Chen, famous poetry translators, has been published by THE EARTH CULTURE PRESS in June 2014, which lasted six months from collection manuscript to compiling until publishing. 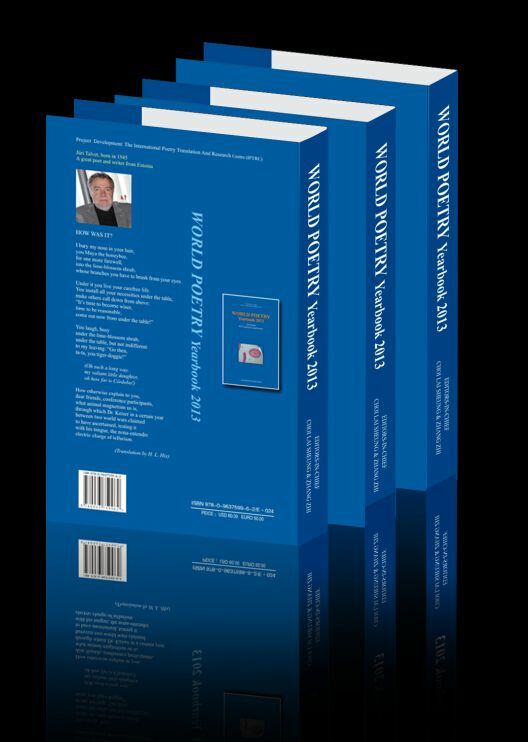 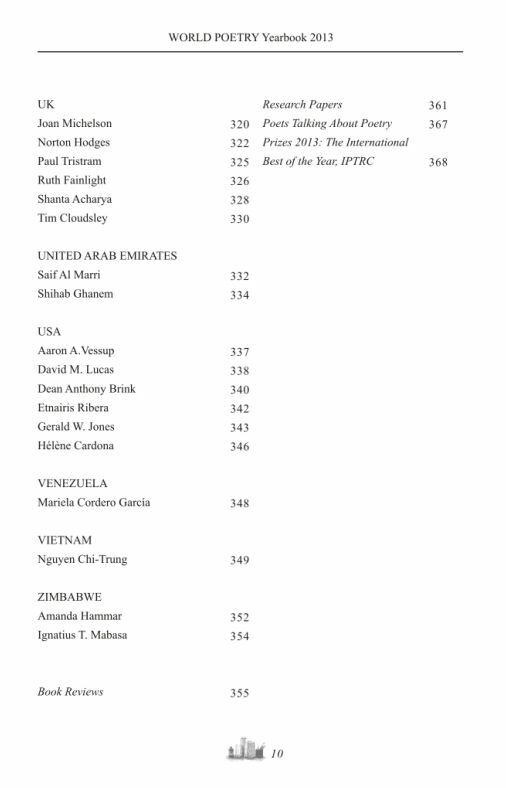 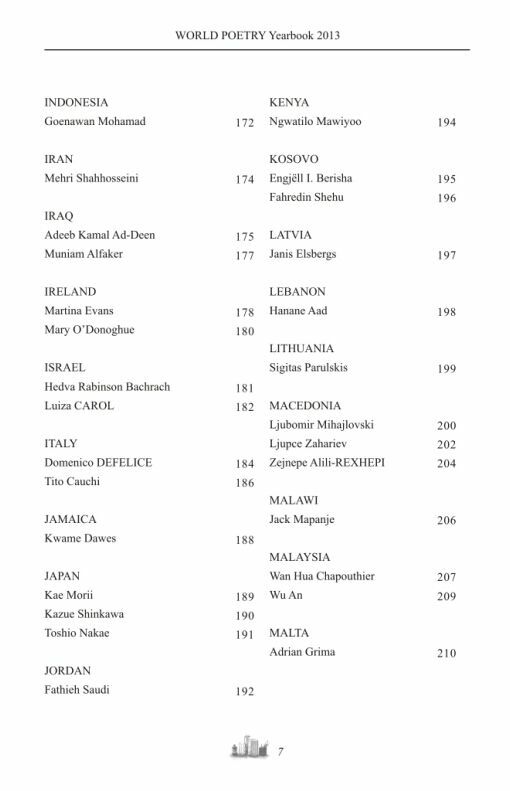 The book is composed of: POETS, POETRY, BOOKS REVIEWS, RESEARCH PAPERS, POETS TALKING ABOUT POETRY, and PRIZES 2013: THE INTERNATIONAL BEST OF THE YEAR, IPTRC. 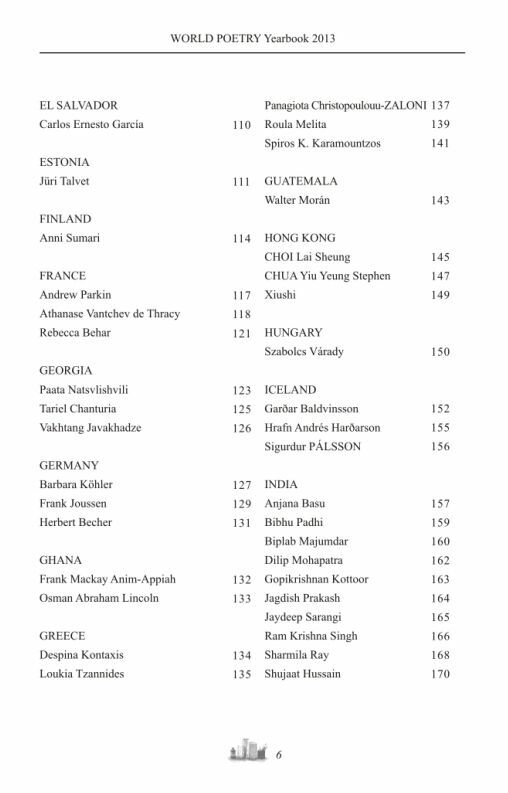 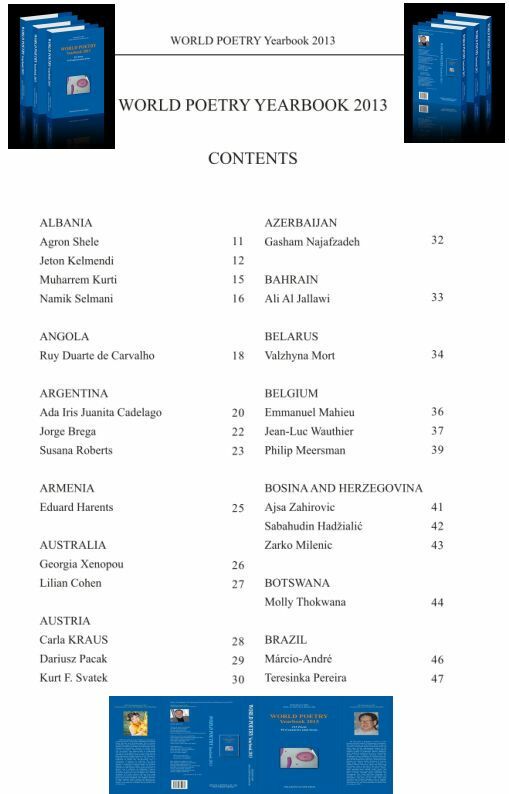 It contains English works of 211 international renowned poets and the super poets from 93 countries and areas with their black-and-white photos and brief introduction in English, as well as book reviews, research papers, poets' reviews on poetry etc., With illustration of five exquisite art works. 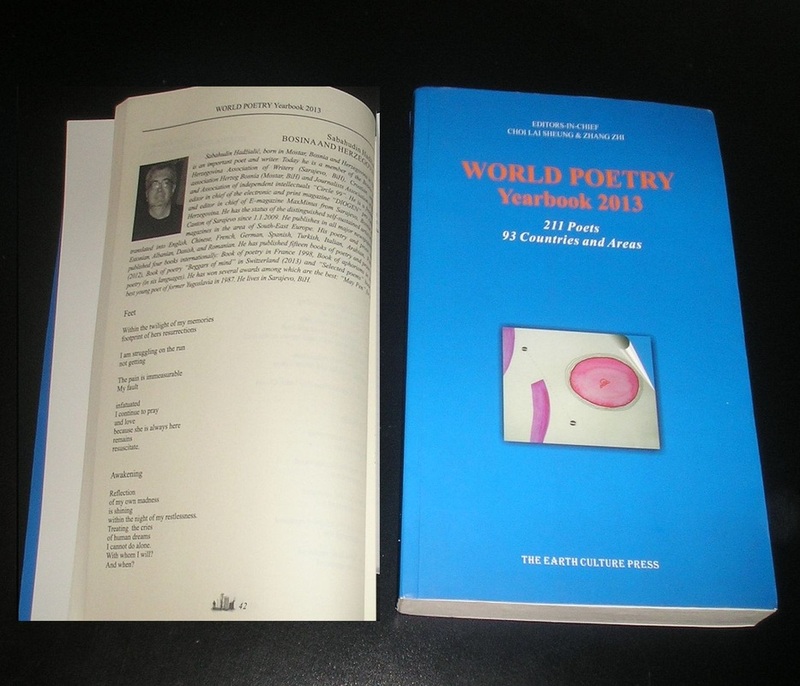 within the night of my restlessness.